response from property - Mar 01, 2019 Thank you for the 5-star review! We really appreciate it, Eugene!  Pleasant Ridge was a great choice for mesubmitted by Alissa P. - Feb 12, 2019 |Recommended: YesI very much appreciate the helpfulness and attention to detail by the property manager and maintenance staff. In these trying days of Winter, ice and snow is removed from the property in a timely fashion . I don’t have to worry about falling on ice like I did at my previous apartment complex. Many thanks to Joan, Joe and Anthony for keeping us safe and our needs met. response from property - Feb 13, 2019 Thank you Alissa, we appreciate the 5-star rating and very nice review. We are always here should you need anything else! Nice place to livesubmitted by Robin H. - Jan 15, 2019 |Recommended: YesGood place to call home. Large apartment with lots of closet space. In-house washer and dryer. Quiet and clean. Hotel feel lobby with coffe machine and water cooler. Really nice staff and neighbors. response from property - Jan 16, 2019 Thank you so much for your kind words. We appreciate you and hope you will continue to call Pleasant Ridge your home. I think the property and the management of it is great. A very good job staff wide.submitted by Anthony B. - Jan 04, 2019 |Recommended: YesWe Love living here. Very spacious and the amenities place perfectly. Low noise due to cement floors. response from property - Jan 10, 2019 Thank you so much for the kind words. Your opinion means the world to us. Lovely Layout, Nicely Kept Grounds, Friendly Mature Neighbors and Staffsubmitted by Josiah L. - Oct 29, 2018 |Recommended: YesWe immediately fell in love with the layout of the apartment there is a good flow to it. It is spacious with lots of smartly designed storage spaces. The grounds are kept nicely all the time and the lobby has a hotel-like feel to it with a coffee bar and sitting areas. There is a nice swimming pool in the back. The staff is friendly and professional--including our life-guard Overall, it is quiet here because of the maturity of the neighbors. response from property - Jan 10, 2019 Thank you Josiah! We are glad to hear you feel right at home in our community. Please let us know if there is anything else we can do for you and we'd be happy to help! response from property - Dec 06, 2018 Thank you Elaine! response from property - Jan 10, 2019 Thank you Hattie, we appreciate hearing your feedback. Please let us know if there is anything you ever need! response from property - Jan 10, 2019 Thank you David! We appreciate the great review and hope you continue to love it here for a long time to come! Comfortable Livingsubmitted by Jahnavi G. - Jun 29, 2018 |Recommended: YesIts very comfortable and the people are very Welcoming and caring. response from property - Jun 30, 2018 We thank you so much for your kinds words. response from property - Mar 09, 2018 Thank you for the great review and kind words; we're so glad you're happy here! Please let us k now if there is anything else we can do for you and we would be happy to help! I have live here for 7 months , it is a very pleasant place to live and call home .submitted by Michelle G. - Aug 19, 2017 |Recommended: YesI just wanted to take the time to thank Joan the property manager who went above and beyond to help my daughter get help to fix her flat tire ,so she would not miss work on her new job. I am so grateful . Thank you Joan ,you are another one of Gods bright lights in the darkness. God bless you now and always. response from property - Aug 21, 2017 Thank you Michelle, it was no problem at all, we are always here to help. Thank you for the wonderful review of Pleasant Ridge! Very peacefulsubmitted by Harris M. - May 21, 2017 |Recommended: YesLiving here is wonderful. Its a very peaceful place to live, the neighbors are very friendly, it could be because the majority of them are older and mature. which is why I like living here.To top it off the leasing manager is very nice and is the main reason I choose this apartment for me and my family to live here. response from property - May 22, 2017 Thank you Harris! We are so happy you enjoy living in our community and that we've been able to provide great service for you. Please let us know if there is anything else we can do going forward! Thanks again. Spacious Elevator Buildingsubmitted by Shannon D. - Mar 10, 2017 |Recommended: YesI have lived at Pleasant Ridge for 5 months and so far it has been good. I will try to give a comprehensive review so that anyone reading it can make an informed decision based on all factors. It will be long, I hope however you read it and it helps you. PROS The condo is spacious 1350 sq. ft. and set up roommate style with one bedroom and bath on each side separated by the living room dining room. The foyer is large enough to put a bench or a small table. The Master Bedroom Bath is large, with the bedroom having wall-to-wall windows, a large closet and the bathroom having 2-sinks, a vanity with mirrors, 3 closets, and a separate area where the toilet and tub shower are located. None of the closets are walk-in but there are plenty of them. The 2nd Bedroom is a nice size with a nice size closet, and a large window. The 2nd bathroom is next to it with a shower, no tub. There's a closet outside the bathroom, which contains shelving. The kitchen is on the same side of the condo as the 2nd bedroom. It has lots of cabinets including a spinning lazy Suzan ample counter space top and bottom , and is large enough for my small freezer and kitchen table with 4 chairs. The stackable full-size washer dryer is hidden between double doors dishwasher, no microwave. The living room dining room area is quite large and long, and the balcony is too. The Front Lobby is beautifully decorated has a Keurig for Guests and Residents' use. There are 2 elevators a Cart Room a pool, an exercise room and a Community Room. There is ample parking. There are a lot of Elders living here and working people not a lot of children. Everyone I've met so far has been nice pleasant and cordial there are lots of dogs owners here as well. Mr. Joe, the Maintenance person is nice Ms. Joan is the Property Manager is pleasant as well. Neighbors are relatively quiet sometimes the parking lot is loud blaring music and such at night time. The grounds men keep the property looking nice. CONS The condos are OLD. The fixtures are old the plumbing and electrical systems are old, as are the windows which lead to a BIG Con. Your BGE will be sky high. The windows are not insulated well at all. The property manager knows it and will offer you plastic for your windows and balcony door. This place is pricey so you must factor in your BGE bill. The rent goes up 4 each and every year. When I toured, I was told there was storage and was shown an empty storage unit. Didn't get one lot of stories as to why I didn't. Pleased with Pleasant Ridgesubmitted by Tonia W. - Feb 07, 2017 |Recommended: YesI like Pleasant Ridge for many reasons I have been here about 7 years. It's quiet and peaceful yet neighbors are friendly and pleasant in passing. I can't say that I've heard my neighbors while in my apartment major plus. The leasing consultant is always available to assist you and and is very nice. Maintenance issues are handled in a timely manner. And I always look forward to socializing at the resident social gatherings. But most of all I enjoy my spacious apartment and its amenities. response from property - Feb 08, 2017 Thank you Tonia for your wonderful review! We're so glad to hear you've enjoyed your stay here for the past 7 years, and we hope you continue to love it for many more years to come. Please let us know if there is anything else we can do for you going forward, we would be happy to help. Thanks again!